BOTH A PRESBYTERIAN AND A COMMUNITY CHURCH. THE CONGREGATION FIRST MET EAST OF MURPHY IN THE MAXWELL SCHOOLHOUSE. AFTER THE CIVIL WAR, THE CHURCH MEMBERS MET IN THE MCMILLEN HOME, AND LATER AT THE WILKINS SCHOOLHOUSE. SEVERAL YEARS LATER, THE CONGRE- GATION CONSTRUCTED ITS FIRST CHURCH BUILDING AT THE CORNER OF GREY LANE AND GREGORY LANE. WAS REFURBISHED IN THE 1980S, AND A BELL STEEPLE WAS ADDED. THE PARKER AREA FOR MORE THAN 150 YEARS. ...The first available minutes of Corinth Presbyterian Church are dated June 8, 1873. The officers present were: W. P. Cloyd, Moderator; C. A. McMillen; J. M. Dunlap; W. C. Parker; R. S. Sneed and E. B. Dishman. The first recorded pastor of the church was Rev. S. M. Wilkins. Corinth Presbyterian Church went through many pastors over the years.... beginning in 1874 are: Rev. S. M. Wilkins, Rev. Malone, Rev. Quaite, Rev. W. F. Cloyd, Rev. J. R. Blewett, Rev. B. F. Spencer, Rev. D. W. Broughton, Rev. Cooley (Mod. ), Rev. W. R. Okulley, Rev. John Collier, Rev. G. M. Hall, Rev. B. L. Hunter, Rev. C. N. Jerrell, Rev. B. L. Hunter, Rev. J. L. A. Prather, Rev. J. M. Borrks..., Rev. J. H. Dickerson, Brother McGee, Rev. C. H. Dickey, Rev. Glen L. Sneed, Rev. G. A. Crane, Rev. J. B. Turner, Rev. S. E. Kennon, Rev. T. A. Davis, Rev. Lockett Adair, Rev. L. E. Lawler, Rev. Ballew, Rev. Shell, Rev. Sterling Richardson, Rev. P. M. Ford, Rev. McGaughey, Rev. P. M. Ford, Rev. D. Cox, Rev. Joe Bennett, Rev. John B. Gaines, and Rev. Truman. Minutes from 1911 to 1924 are missing in the Record Book, which was during the Pastorate of Rev. Sterling Richardson. Ruling Elders in Chronological Order: C. A. McMillen, W. C. Parker, Joe Wilkins, J. M. Dunlap, R. S. Sneed, E. B. Dishman, George Robbins, Charles Wallace, Tom Wood, C. N. Shelton, J. O. Newsome, T. J. Sneed, Hosea Woods, T. E. Hogge, W. D. Robbins, Bob Masters, Olney Dellehay, John Houston Hogge and Margaret Hogge. 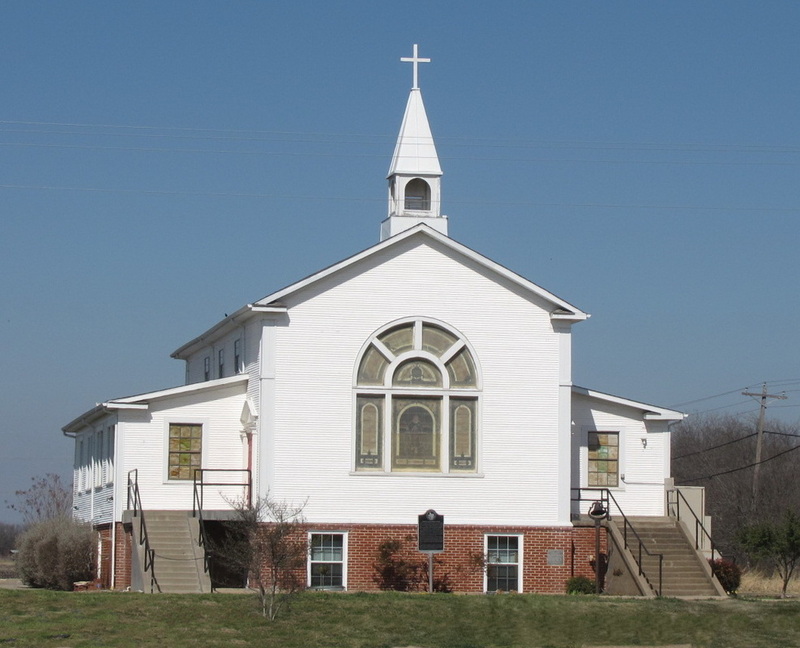 The first Sunday School at Corinth Presbyterian Church was established May 24, 1896. W. C. Parker was Superintendent, T. J. Woods was Vice Superintendent, Miss Cora B. Sneed was Secretary, and W. A. McMillen was Treasurer. The Corinth Presbyterian church, at Parker, in Collin county, is this week commencing the erection of its new $10,000 church building. The Corinth church for the last seven years was conducted as a “Demonstrative Parash”[sic] in charge of the Rev. Sterling Richardson, as pastor, and under the direct supervision of Rev. Warren H. Wilson, Ph. D., Director of the Board of Home Missions and the recognized leading authority on Rural Life in America. About seventy-five years ago this community organized a Presbyterian church. The present one-room frame building has served the people for the last forty years. The membership has grown from sixty-five, when Mr. Richardson came here seven years ago, to one hundred and seventy-five at the present time. The erection of this building registers the culmination of the first stage of the work projected under the Demonstration Parash plan. it has been a faith testing period because of the lack of equipment and of the means for providing it. The spirit of loyalty and faith on the part of the people and the steady hand of the pastor has carried the work forward until finally the means for providing an adequate church edifice and manse seems near at hand. The buildings are to be erected on the two and one-half acre plat given for the purpose by Mr. and Mrs. C. C. Gregory of Parker. This plat of ground is sufficient to provide a spacious building site for the church also for the Gospel Tabernacle, which is 40x48 feet, as well as space for the manse which will be built on the extreme west side of the plat. There will then be space enough left for a garden, garage, orchard, a small park and a play-ground for the children. The plans for the church buildings made by C. D. Hill and Company, Architects, Dallas, Texas, provides for a building 50x59-6. It will have a full sized basement which will provide ample space for the social activities of the community The main floor will contain the church auditorium to be used for worship and other formal occasions such as lectures, etc. A large rostrum will provide space for a chorus choir and the pulpit. In addition, there are two attractive separate rooms for the use of th young men and the young women in their Bible class and literary work. Executive committee: Hugh Chaddick, chairman, and Treasurer; H. R. Wood, Clerk and chairman of committee on construction; T. J. Sneed, Chairman Finance committee; R. L. Vinson, local chairman Finance Committee; V. D. Hooper; L. H. McCreary, Chairman of Committee on furnishings. General committee: Rev. Sterling Richardson, O. C. Dillehay, Cecil Gregory, James Reed, De Witt Hogge, R. E. Hall, Floyd Wood, Geno Wilson, Will Stinson, Miss Fannie Dillehay, Miss Doris Chaddick, Miss Opal Wood, Miss Sallie Rossetter, Miss Leta Lyon, Mrs. L. H. McCreary, Miss Pansy Masters. Advisory Committee: W. J. Robbins, C. C. Gregory, W. E. Edens, Earl Hogge. Ex-Officio: Rev. Warren H. Wilson, Ph. D., New York City; Rev, B. Wrenn Webb, D. D. Synodical Supt., Dallas; Rev. Daniel E. Griesar, Chm. Presbytery’s Committee on Church Erection; Rev. Chas T. Greenway, Agent of the Board of Home Missions, New York City. This is one of a handful of churches in the North Texas area that has a 6-toed Jesus. All of the churches were built in the early 1920s. 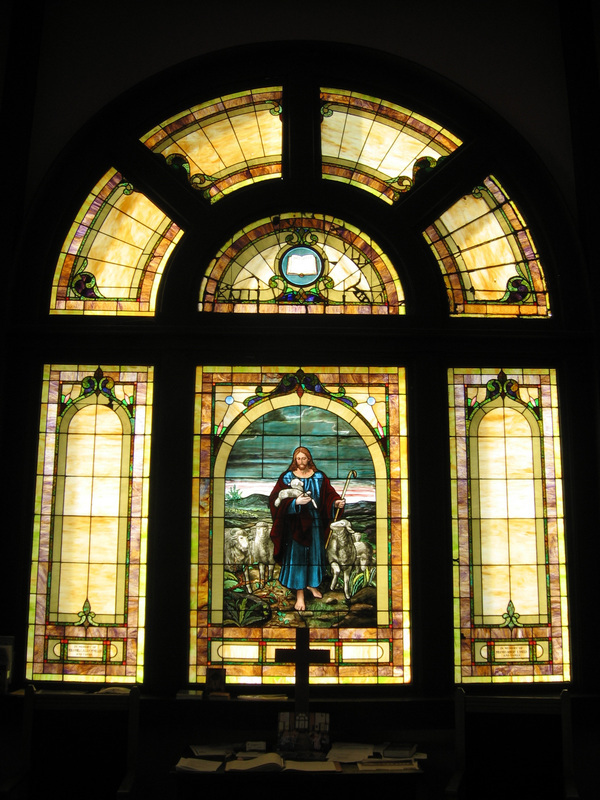 A 6-toed Jesus is said to be the trademark of the person who made the window. Numerous stories surround the meaning of a 6-toed Jesus. The possible window designer was a man named Herbert Davis.